3. Leave a comment below this post letting me know what are your current everyday eye shadow faves. Please be sure to include you twitter handle for reference. 5. The contest ends August 4th at 11:59PM EST and the winner will be announced on my blog on August 5th, so be sure to check back. 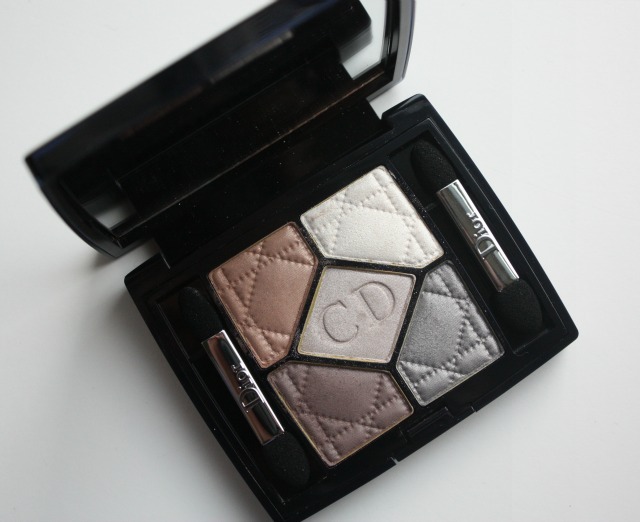 Currently, my favorites are the dior petal shine palette and of course, the Naked 2 palette. Loving the Pixi lid last shadow stick in Mocha Muave with MACs patina eyeshadow swiped all over the lid and the blendid with my 217! My favorite eye cosmetic is Jessie's Girl Waterproof eyeliner in black with a little of YSL black shadow over it. That palette is gorgeous! More neutrals! Lately my go to has been the Nars "And God Created the Woman" palette and I think the new Nars Voulez Vous palette is going to get the same amount of love from me. As would this Dior one!! Im all about the Naked 2 palette right now! I follow you on Twitter (@mamafashionist1)! Right now, my everyday jam is Josie Maran's Argan Beautiful Eyes Palette in Beautiful Nudes. I LOVE LOVE LOVE it; but i'd love some Christian Dior too (I don't have any in my collection)! soo excited for this giveaway. liked on FB (stephaneemullins) and already follow on twitter @tryburch. My fav eyeshadow has been the loreal’s what happens in vegas palette. Perfect colors for work and summer! Oh this palette looks beautiful! I currently use the naked palette from Urban Decay for my everyday eye look. I use "naked" in my crease, "sin" on my lid, "virgin" on my inner corner, and sometimes "foxy" from the naked 2 palette on my brow bone! Oh this palette is beautiful! I currently am using the Urban Decay naked palette. I use "naked" in my crease, a mix of "sin" & "virgin" on my lid & inner corner, & "foxy" from the naked 2 palette on my brow bone! I have never tried Dior shadows. The colors on this palette looks mystical. Would love to try!!!! I'm loving my Nudetude palette. For nights out, I do a gold base and smudge brown into the corners for that smokey-but-not-trying-too-hard look. For an easy everyday look I use MAC Woodwinked and some brown liner. I love to use Urban Decay's Naked and Naked 2 palettes, and MAC's All That Glitters! My favorite eyeshadow (for the moment) is Bare Minerals "Queen Phyllis" (great highlighter!) and Naked 2 Palette! I've been a slacker lately... Besides it's been too hot in Austin, TX to wear eyeshadow during the day. I worry about ending up looking like Alice Cooper. The evenings are a different story...I break out my Laura Mercier - Shimmering Neutrals Eye Trio and get some smokey eye action going. During the day I use the Ground Espresso cake eyeliner with a wet brush and then take a dry brush with the dry cake liner and go over it for a subtle smudging action. So far so good! I am in LOVE with MAC's eyeshadow Tempting<3!!! I follow on Twitter @laluver101 and I like on fb Emmy Sla:) My e-mail is mslamani(at)hotmail(dot)com. THANK YOU SO SO SOOOOOO VERY MUCH:D!!!!!!! THANK YOU:D!!!! My current favorites are the Naked 1 & Naked Basics palettes. My fav current shadows are from the Stila "In the Light" palette! So many beautiful shades! I'm following you on Twitter, and liked your FB page too!